No one’s perfect (nope, not you either) so it’s just a matter of time before you’re going to mess up or throw your horse under the bus. Saying sorry to your horse, trainer, opponent, friend, or family member while riding—called an athletic apology—is a necessary stage in learning from mistakes and can be wonderfully empowering because it has an amazing way of shifting your focus away from blame and disappointment, to self-respect and confidence. (3) letting yourself off the hook by committing to be better. Athletic apologies should also never contain “you” statements because they unintentionally attempt to shift the blame from you to someone else. When you apologize by saying something like, “I’m sorry you got mad,” you place the blame on that person instead of owning it yourself. Think about a recent mistake you’ve made involving your horse, trainer, friend, or family member, and then make a three-part athletic apology for them. Remember, you’re not perfect, so go on and prove that you have the courage to admit it. FIT & FOCUSED IN 52 is available from the TSB online bookstore, where shipping in the US is always FREE. Wouldn’t it be cool if every horse made a New Year’s Resolution not to shy at silly, innocuous, or invisible things in 2019? Alas, I think we all know that isn’t likely, so best case scenario is we riders resolve to do better by our horses when the shy does happen. Young horses often shy and jump away from new objects or situations or quick movements. Older, more experienced horses may also jump away from new “goblins,” but usually time has accustomed them to weird blankets, shadows, flowers, sunbeams, and so on. One should never forget, however, that the horse evolved as a grazing animal whose main defense against predators is flight. A few months or years of training will never overcome millions of years of evolution. To cure shying, the horse must be brought to trust his rider and himself. He must trust that the rider will let him run away if something terrible happens, and he must feel balanced and in control of his body. You often see riders trying to force their horses past a “scary” object, and the horse becomes more and more tense, and the rider resorting to more and more force. You can never beat the shying out. What is really happening in the horse’s mind is that he is being trapped near this frightening thing and that his one defense is taken away. Also, he learns to associate a whipping with an object, place, or situation, and we have succeeded in teaching him that this thing is to be feared, and he becomes more and more tense. When riding past a frightening place, the rider must become more relaxed, careful, cool, and quiet. When the horse trusts that he can run away, he will accept that he does not need to—yet. The rider must lightly control the horse, but always give the horse the reassurance that flight is possible. The rider must also keep the horse well balanced, so the horse feels that he can jump away. By positioning the horse with a good bend away from the object (shoulder-in for those horses that understand it), the horse cannot bolt away so easily through the inside shoulder, although he still sees an “escape” through the front. For example: When a horse shies from an object on his right side, he usually bends strongly right to look at the object, plants both front feet, and pushes out through the left shoulder. Keeping the bend left makes this more difficult, making it easier for the rider to keep the horse going straight past the object. Making the horse bend right and pulling him toward the object only makes the horse more frightened because escaping forward takes him toward the hazard. 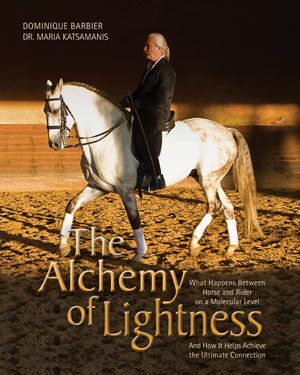 You can learn more from Walter Zettl in his book DRESSAGE IN HARMONY, available from the TSB online bookstore where shipping in the US is FREE. It always hits as a touch unbelievable. And yet here we are, a few days from 2019. It’s cold outside, with enough white stuff to validate the Vermont address. The Prosecco is chilling in anticipation of the celebration ahead. We have some truly exciting projects in the works with wonderful and inspiring movers and shakers from the equestrian world. This means the New Year promises to be incredibly busy, so before we get caught up in what lies ahead, we want to take this moment to cast a glance back at what we published this year. We studied the art of taping for equine wellness, and found new ways to provide visual video tools in educational books. We told the stories of regular girls who got the big break and young men who traveled the world, looking for one. We got tricky on the ground and balanced in the saddle. We tried to ride better, know better, and do better. Thank you to all of those who supported us and our authors in 2018. We hope you come back for more in the New Year. Kinesiology taping on human athletes is all the rage: widely used by physical therapists, chiropractors, and personal trainers, we see it on Olympians, runners, basketball players—on amateurs and professionals. 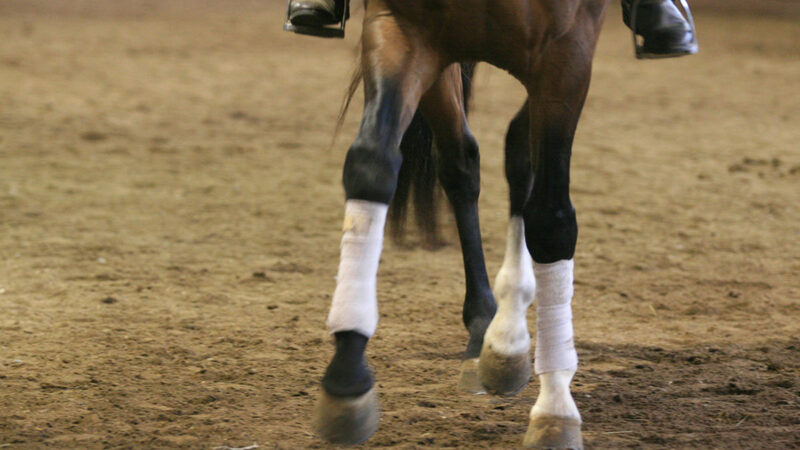 Our equine athletes can benefit hugely from taping techniques, too, and this terrific guidebook provides the ultimate reference for understanding both the uses of kinesiology tape and its numerous applications. Christoph Hess, a Fédération Equestre International (FEI) “I” Judge in both dressage and eventing, is highly respected around the world as a teacher of riding and the development of the horse according to classical principles. Here he collects some of his very best riding and training tips along with well-honed insight related to the topics that he finds most often challenge equestrians and their equine partners. 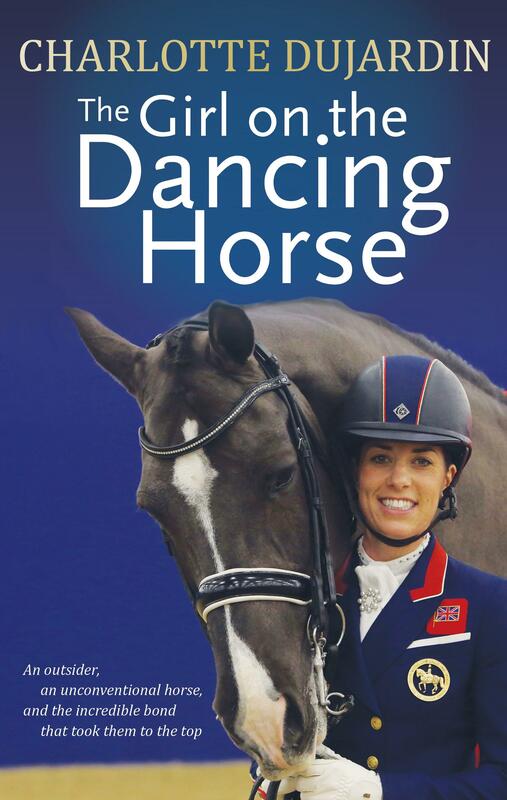 Charlotte Dujardin and her charismatic horse Valegro burst onto the international sports scene with their record–breaking performance at the 2012 Olympic Games in London. Dujardin began riding horses at the age of two, but dressage was the domain of the rich–not the life a girl from a middleclass family was born into. Her parents sacrificed to give her as many opportunities as they could, and she left school at 16 to focus on equestrian competition. It was at 22, when she was invited to be a groom for British Olympian Carl Hester, that she met the equine partner that would change her fortune. This is Dujardin’s autobiography: the story of an outsider, an unconventional horse, and the incredible bond that took them to the top. Dr. Bob Grisel has created a book unlike any other. With color illustrations, dozens of charts, and hundreds of links to online videos of explanatory case studies that you can scan with a touch of your smartphone, readers are given a complete course in observing, identifying, and decoding equine lameness. Dr. Grisel helps you interpret what is seen, plain and simple (no need for medical knowledge of equine anatomy and pathology). 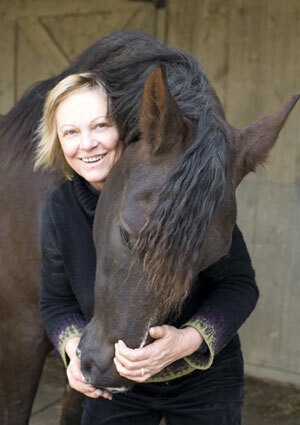 In the much anticipated follow-up to her international bestseller HORSE SPEAK, Sharon Wilsie uses true stories to relate examples of “problems” and how they were solved using Horse Speak. 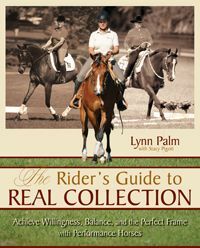 Her engaging narrative introduces readers to dozens of real life scenarios from different barns, various disciplines, and riders and handlers with contrasting experiences and backgrounds. 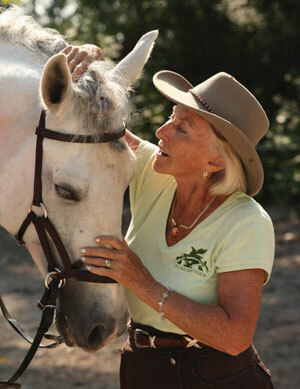 Wilsie highlights her Horse Speak process, the clues that point to the best course of action, and the steps she takes to connect with horses that have shut down, grown confused, or become sulky or aggressive for any number of reasons. In this collection of mounted and unmounted corrective exercises, Jec Aristotle Ballou demonstrates how we can actively work to improve the horse’s posture and movement, whether he is an active performance or pleasure mount, an aging or older horse that benefits from gentle exercise, or one being rehabilitated following injury, illness, or lack of conditioning. 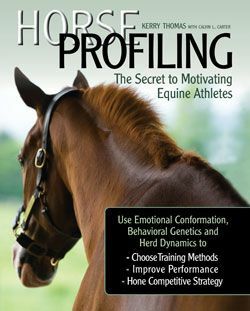 Ballou’s positive cross-training techniques are free of shortcuts, and her guidelines for analyzing the horse’s posture and way of going help readers gain a new awareness of the equine body. The founder of Cowboy Dressage®, Eitan Beth-Halachmy, explains the development of the Western dressage horse using his methods. 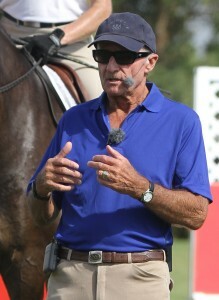 Beginning with the basics of body language, use of the aids, and a discussion of the Training Pyramid, Beth-Halachmy then provides guidelines for foundational groundwork and progressive dressage schooling under saddle, such as developing cadence and consistency in the gaits, understanding and requesting correct bend, choosing and using lateral maneuvers, and advancing self-carriage and collection. In 2008, 26-year-old Tik Maynard faced a crossroads not unlike that of other young adults. A university graduate and modern pentathlete, he suffered both a career-ending injury and a painful breakup, leaving him suddenly adrift. 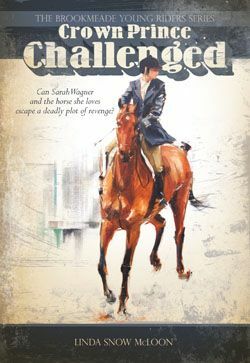 The son of prominent Canadian equestrians, Maynard decided to spend the next year as a “working student.” Here Maynard chronicles his experiences–good and bad–and we follow along as one year becomes three, what began as a casual adventure gradually transforms, and a life’s purpose comes sharply into focus. 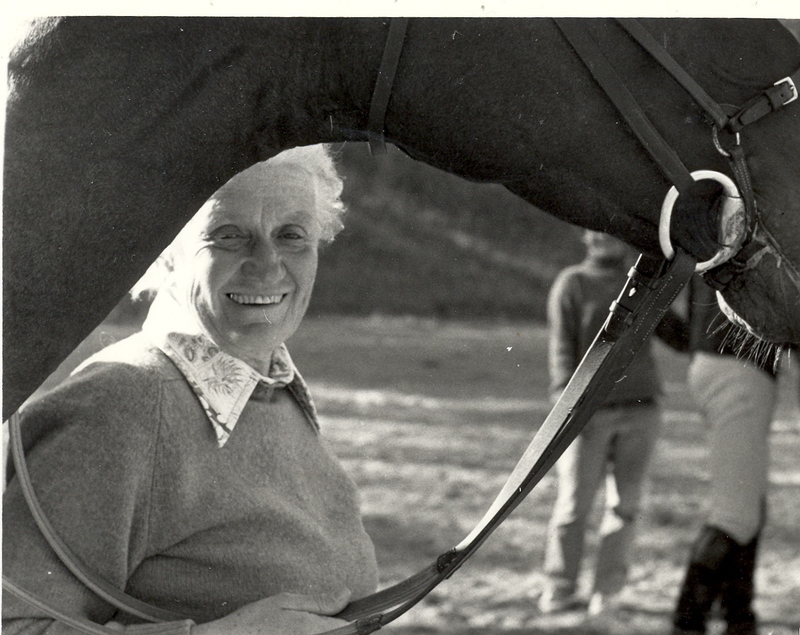 Over several years Dominique Barbier had the unique opportunity to form an intimate relationship with the revered Portuguese equestrian Nuno Oliveira. In this deeply personal book Barbier chronicles their time together. Beginning in a tiny, dimly lit riding hall in Póvoa de Santo Adrião, Portugal, where seminal moments of Barbier’s riding education dawned under the watchful eyes of many luminaries of the European riding elite, the book then explores what came later when Barbier studied with the Mestre in Avessada and traveled with him to Belgium. 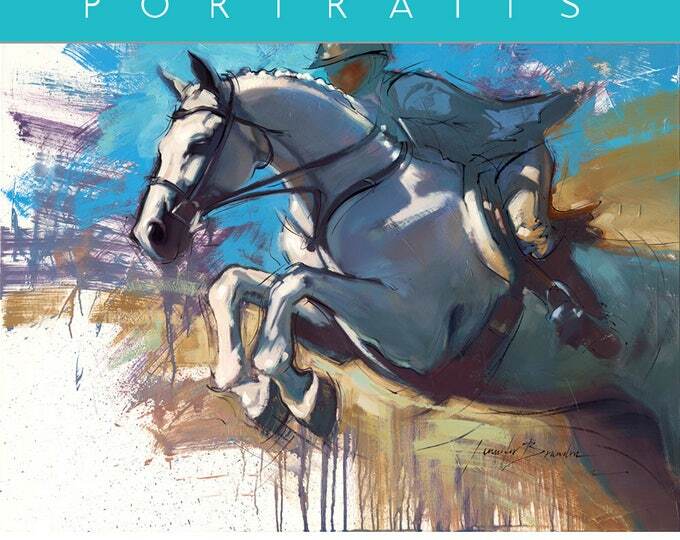 Barbier’s recollections are complemented by those of three other equestrians who learned from the Mestre: Dany Lahaye, Bettina Drummond, and Luis Valença. 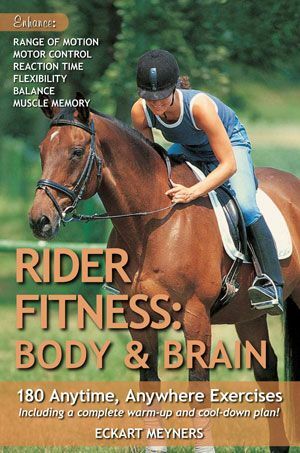 A paperback edition of Dr. Gerd Heuschmann’s international bestseller: an intelligent and thought-provoking exploration of both classical and “modern” training methods, including “ hyperflexion” (also known as Rollkur), against a practical backdrop of the horse’s basic anatomy and physiology. Fergus, the world’s most popular cartoon horse, shares an epic holiday adventure inspired by the classic tale ‘Twas the Night Before Christmas. With colorful, light-hearted comedy on every page, Fergus and his motley group of equine teammates bravely take to the skies to give St. Nick the sleigh ride of his life. Can Santa manage his ungainly hitch and deliver the perfect gift on the most magical night of the year? Fasten your seatbelt! Recommended for ages 5 to 95. 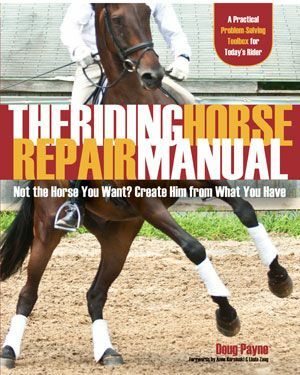 In this fully updated edition of the book that Thoroughbred and horse training experts have called “breakthrough racehorse literature,” “superior,” “a winner,” and “the ultimate in training manuals,” readers learn everything they need to transition an OTTB from life at the track to life out back. 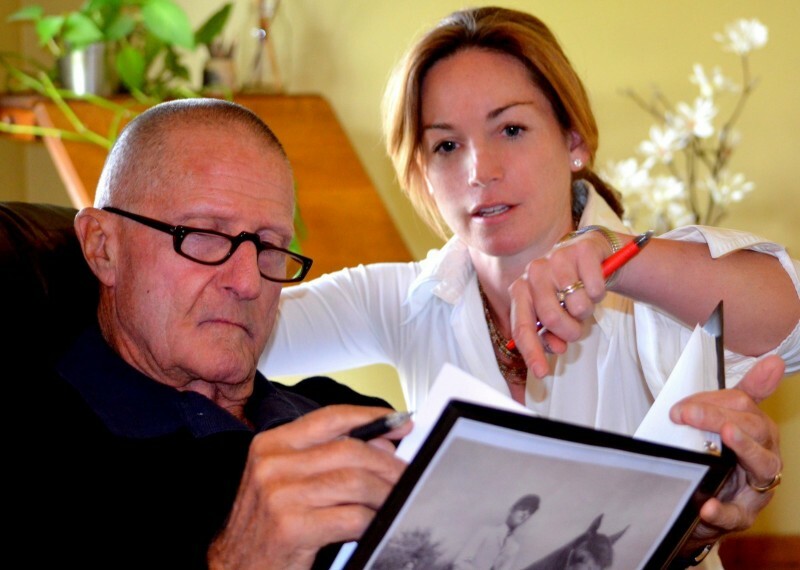 Author Anna Ford, Thoroughbred Program Director at New Vocations Racehorse Adoption, begins by discussing the typical Thoroughbred’s early years, then explains reasons for retirement, common injuries and health issues, basic feeding and nutrition, and safe handling. She goes on to provide step-by-step instructions for building the solid educational foundation the OTTB needs to excel in a new career, whether as a highly trained competitor or a pleasure mount. Kathrin Roida details her in-hand training methods, sharing the stories of a number of horses of different ages, breeds, and training backgrounds, and demonstrating the steps to teaching them: shoulder-in, travers, renvers, pirouettes, half-pass, piaffe, passage, canter work, the Spanish walk, and much more. Throughout her conscientious attention to what is best for the horse ensures that not only do the lessons result in a horse that is healthy in body but also one that is healthy in mind and happy in his work. Sylvia Loch provides an image-driven visual guide that shows how each tiny shift of the rider’s weight affects the horse’s balance. With the help of dozens of illustrations and fabulous color photographs, she demonstrates the minute changes in rider position that determine a horse’s comprehension of instruction as well as his physical ability to perform. 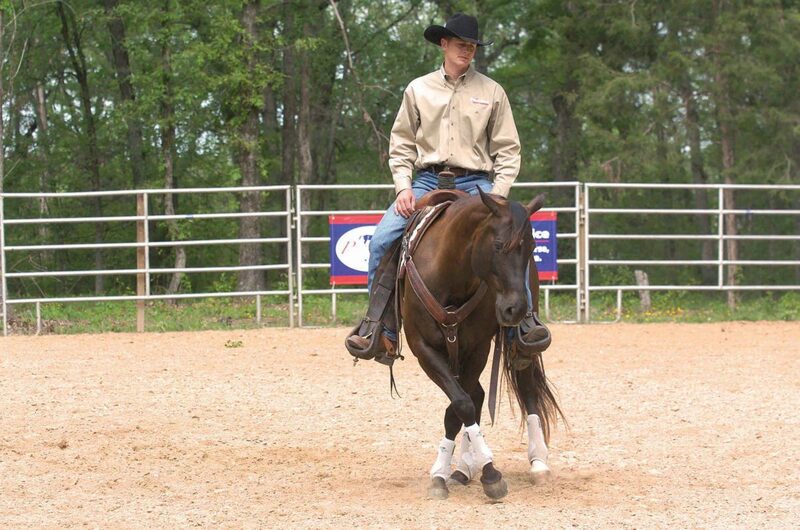 Each horse, no matter the riding discipline, benefits from working with cavalletti. Dressage and eventing rider extraordinaire Ingrid Klimke explains how training with ground poles and cavalletti is one of her secrets of success. 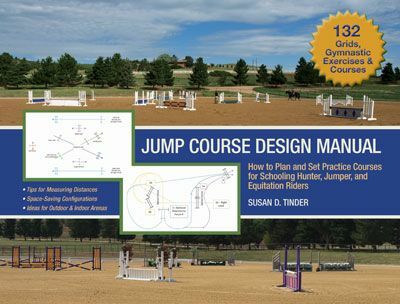 This newly revised editionshows cavalletti work on the longe, provides valuable new ideas specifically for dressage work, and numerous updated diagrams for jumping gymnastics, along with all new color photographs. 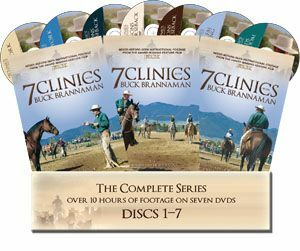 In this DVD or streaming video, learn an easy, practical system for “listening” and “talking” to horses in their language instead of expecting them to comprehend ours. Horse Speak can be used by any individual who works with horses, whether riding instructor, colt starter, recreational rider, or avid competitor. 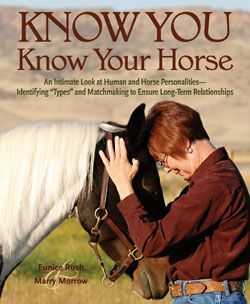 It promises improved understanding of what a horse is telling you, as well as providing simple replies you can use to tell him that you “hear” him, you “get it,” and you have ideas you want to share with him, too. The perfect complement to HORSE SPEAK the book and HORSES IN TRANSLATION. Groundwork and trick training specialist Sigrid Schöpe has found great success teaching her own horses tricks, which they enjoy doing as part of their regular groundwork and under-saddle schooling routines. Here she shares her techniques, using positive, conscientious methods that are easy to follow–and a whole lot of fun! By following the simple steps and clear color photos, readers will find their horses will learn over 20 of the world’s most popular tricks in no time, including: bowing, kneeling, lying down, sitting, rearing on command, performing the Spanish walk, standing on a pedestal, taking a blanket off, crossing their legs, carrying a lead rope, stacking cones, playing soccer, and more! 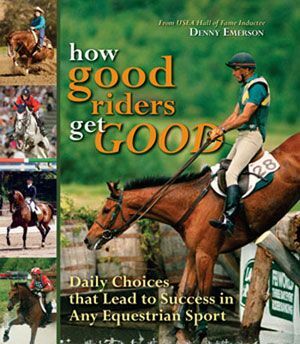 In this smart, honest book chock full of valuable takeaways, gold medalist and renowned rider and coach Denny Emerson uses stories of the standout horses from his own riding career, which spans almost 70 years, to detail some of the things he wishes he’d known “then” that he knows now. 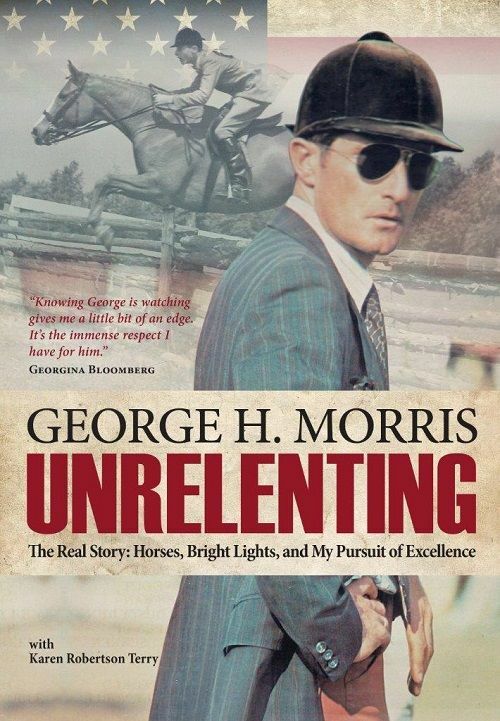 With a candid willingness to share mistakes he’s made over the years and clearly articulated ideas on how others can avoid them, he commits himself and those reading to finding more conscientious ways to ride, train, and work with horses. In this updated edition of the bestselling reference, readers discover the what, the how, and–most importantly–the why of more than 100 dressage movements. Color photographs of riders of various levels and on different breeds of horse show how each movement should look when ridden correctly. Not only is each movement clearly defined, but explanations include common mistakes and how to avoid them, as well as the benefits of each exercise and how it contributes to the “bigger picture” of the dressage training scale. Rainbow, one of the Trafalgar Square Farm horses. As we close in on Christmas and the start of a whole new year, we at TSB want to thank all those who have supported our amazing stable of authors in 2018. 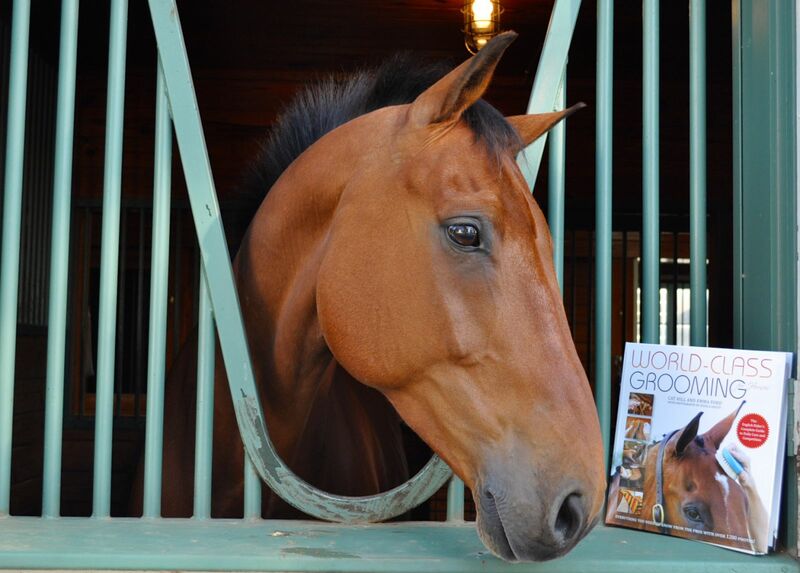 We feel very honored to work with such thoughtful, motivated, hard-working professionals, and their efforts to educate always keep us inspired on our end, publishing books for the good of the horse. From our small family to yours, we wish you the happiest of holidays. 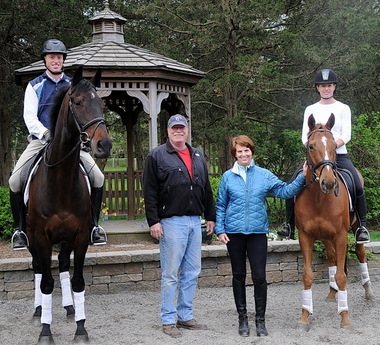 Trafalgar Square Books, leading publisher of equestrian books and DVDs, is a small business based on a farm in rural Vermont. 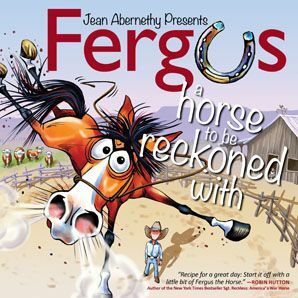 Jean Abernethy, creator of Fergus the Horse, spies her hero at the reins! Perfect for under the tree! 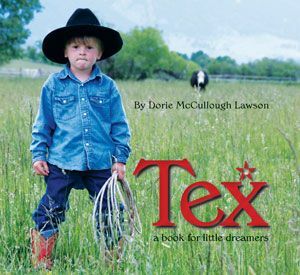 “An adventure that will make any horse lover’s heart swell!” agrees Equine Journal. FERGUS AND THE NIGHT BEFORE CHRISTMAS is Abernethy’s fourth Fergus book, and her Fergus the Horse social media pages and merchandise keep her very busy throughout the year, not just during the holidays. FERGUS AND THE NIGHT BEFORE CHRISTMAS is available from the TSB online bookstore, where shipping in the US is FREE.